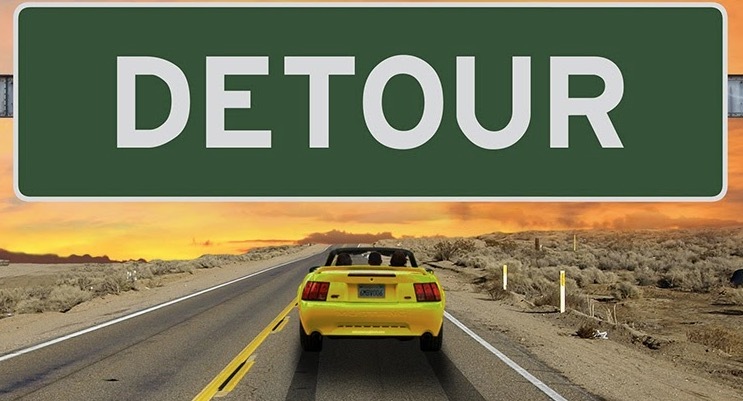 CLICK ON THE TABS BELOW TO VISIT EACH DETOUR SECTION! 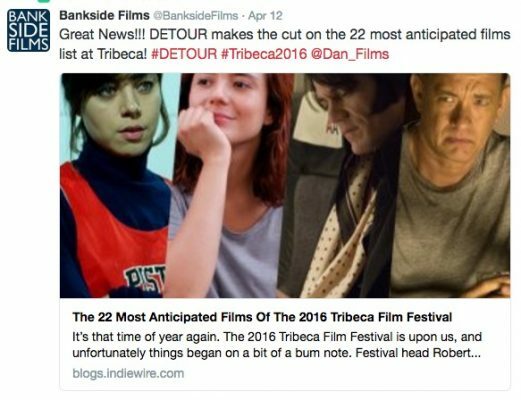 1/17/16 – Detour to premiere in theaters, OnDemand, on Amazon Video and iTunes on January 20, 2017! 1/13/17 – Horror Channel FrightFest 2017 Glasgow Film Festival line-up will include Detour in it’s schedule. 5/14/16 – Per Deadline, Magnet Releasing, the genre arm of Magnolia Pictures, has acquired North American rights to Detour, the twisty new thriller from writer/director Christopher Smith, which world premiered last month at the Tribeca Film Festival. Detour stars Tye Sheridan (Mud, The Tree of Life), Emory Cohen (Brooklyn), and Bel Powley (Diary of a Teenage Girl) in a stylized noir tale about a college student whose attempts for revenge don’t go exactly as planned. Detour marks Smith’s third collaboration with Magnet. Employing a split-narrative structure to tell this tale of deception and murder, Smith takes his audience on a thrill ride full of hairpin turns, where it’s never quite clear what or who can be trusted. 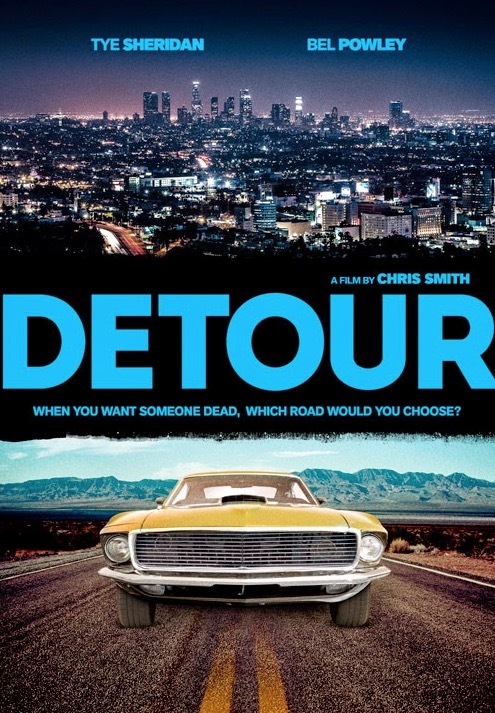 Detour was produced by Julie Baines of Dan Films and Jason Newmark of Newscope Films, together with Phil Hunt and Compton Ross. Head Gear Films provided production finance, and Bankside Films is handling international sales. The deal was negotiated by Magnolia SVP of Acquisitions Dori Begley and Magnolia VP of Acquisitions John Von Thaden with CAA and Bankside Films on behalf of the filmmakers. Plot Summary: “Law student and all round good guy, Harper, suspects that his scheming step-father, Vincent, is responsible for the car crash that sent his mother into a coma. Drowning his sorrows one evening in a seedy L.A whiskey bar, Harper is interrupted by a tough looking redneck called Johnny Ray who offers to “take care” of his step-dad for the cool sum of US$20,000. Angry, intent on revenge and fuelled by alcohol, Harper agrees to the deal and spends the rest of his evening downing shots with Johnny Ray. What follows is a tense and deftly constructed noir thriller in which Harper’s story takes an unexpected detour, presenting the audience with two alternate versions of events with two very different outcomes. Did Harper really want to kill his step father and which road did he actually take?”So are they really going to drive that yellow car? Will it be a convertible or not? lol!The film is listed for a release in 2016. Trivia This is the second film where Bel Powley co-stars with a cast member from HBO’s True Blood. 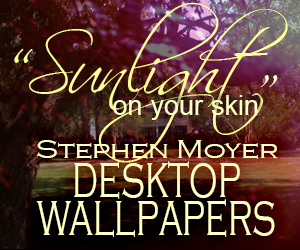 In Diary of a Teenage Girl she worked with Alexander Skarsgård, and in Detour she works with Stephen Moyer. Click for more in the DETOUR Photo Gallery. 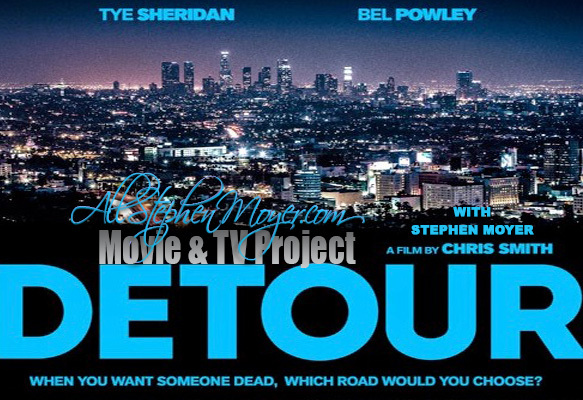 via: EW As befits a movie titled Detour, writer-director Christopher Smith took a circuitous route while plotting his neo-noir about a grieving law student with dark suspicions about his shady stepfather. Speaking to EW at the recent Tribeca Film Festival, Smith said he initially drew inspiration from thrillers such as Disturbia (which is itself partly inspired by Rear Window) and Strangers on a Train. Those characters would come to include Harper, the naive protagonist played by Tye Sheridan; Johnny, a volatile grifter played by Emory Cohen; and Cherry, a stripper played by Bel Powley. Thanks for providing. Will keep returning for more info. I’m thrilled to finally get news about this film. Will wait impatiently for news about when and where it’s opening. Thanks for posting!